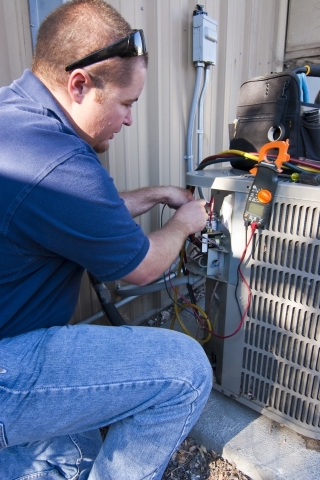 The technicians at All Air Heating & Cooling understand that no one enjoys having to shop for a new AC unit, but if the air conditioning isn’t working in the heat of summer, it must be done. So if you had a hard time making the decision to purchase a new AC unit, it might be even harder trying to find a system that is right for your family and home. It may seem like a simple process, but there’s a lot to know and consider when it comes to choosing a new unit. But with the help of our team, you’ll get a professional opinion on what is best. Give our air conditioning service and installation technicians a call today for advice. In order to determine which size is right for your home, it’s best to start with an understanding of how it all works. The sizing of an AC unit is measured in tonnage, which is not the weight of the unit, but it’s ability to cool a space. With a one-ton air conditioner, it is capable of cooling 12,000 BTU (British Thermal Unit) in an hour. A BTU is how we measure the energy that’s required to cool one pound of water by one degree. If you get an air conditioner that is one ton, it can cool 12,000 pounds of water by one degree in an hour. As the BTU increases, the stronger it is and it will use more energy. You may be thinking that the larger the air conditioning unit is, the better. You do want a cool house all of the time, right? Well, it doesn’t really work that way. And if you want to run your AC unit efficiently and protect your wallet as well, it’s important to pay attention to size. A large AC unit will cool the house very quickly, which may sound like a good thing, but there is a consequence. When the house is cooled quickly, the AC unit will turn off quickly too. This quick on and off process doesn’t let the system run through the entire cycle that it is supposed to, allowing warm air to seep into your home, requiring the system to turn back on again. This is incredibly inefficient and will cause your electric bill to rise. As you can probably guess, when the unit is too small it will constantly be running to try to cool your home. If the unit is multiple sizes too small, it will have a hard time keeping your home as cool as you’d like it. This will again cause your electric bill to rise. How hot does it get in the Fredericksburg area? Is there shade around your house? Is there a basement or a slab? How tall are the ceilings? A 2.5-ton unit should be enough to efficiently cool a space that is between 1,300 and 1,600 square feet. But it’s best to get a professional opinion on the correct size air conditioner for your home. 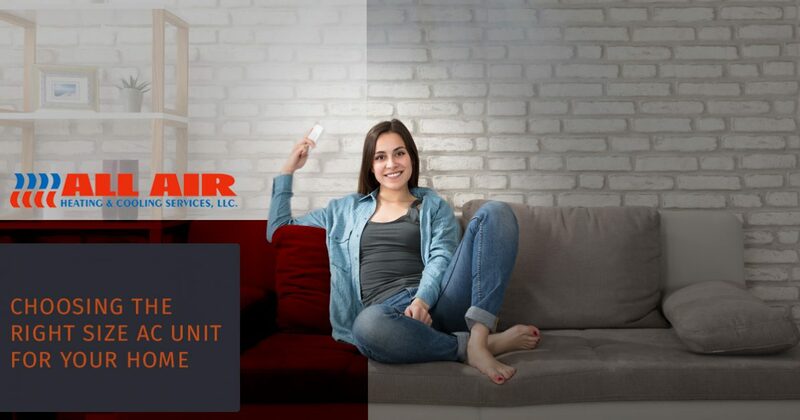 The team at All Air Heating & Cooling wants your home to be as efficient, and as comfortable, as possible. Get in touch with us today for all of your air conditioning service needs, including repairs, maintenance, and installation.